As you know we have already informed to our visitors that DD Freedish migrating its DTH service " DD Free Dish" from old satellite INSAT4B to new satellite GSAT15 with effect from 1st February 2016. We are requested to all DD Free Dish viewers to follow given below steps to rescan or retune your set-top Box after 1st February 2016. Here are some steps for retune or rescan your set-top box (Installation menu may different according to set-top box manufacturers). Press “Menu” Button on Remote of Set Top Box. Enter Frequency ( one by one) to 11090 / 11170 / 11470 / 11510 / 11550 MHz. SAVE / OK the setting and SCAN the SET-TOP Box. Press “EXIT” Button on Remote. You can also use Auto Scan / Blind scan feature in your set-top box to re-tune your set-top box automatically, no need to fill frequencies manually. अगर आप इस सेटिंग्स को हिन्दी मे स्टेप बाइ स्टेप जानना चाहते है तो यहा आप यहा से देख सकते है, वो भी ऑटो स्कॅन की विधि से. i am unable to do setting plz help me, i having totally different setting. It is fine but some internation sports , moove and discovery like channels must be added. same problem i don't have tp list option............. what to do? Urgently needed one business/financial channel like CNBC AWAAZ. Buy dd free dish at jodhpur in rajasthan call 9024245353. 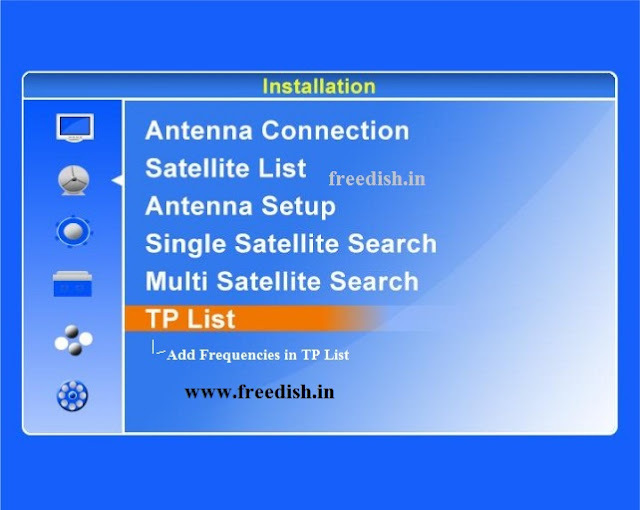 I m unable to search all free channels. my set top box is mpeg2. my set top not accepting manual setting. only showing auto scan. may I need to change direction of Dish? I have Solid HDS2-9030 SetTop Box and I followed instructions as guided. happy to inform, I am able to see all 80 channels. I am not able the see the channels under the frequency 11550/V/29500 in my set top box. Rest of all channels on other frequencies viewing perfectly. Anyone can help to view the same. I tried the idea whatever suggested by a user but the problem remain same. some settings to be done in set top box? Mr Vishnu, Prasad here from Bangalore. Even I had the same problem as yours. I changed the LNB and I retuned it as explained. Problem solved I am getting all the 80 channels now. I am not able to see 16 channels broadcasted on 11550 frequency. Other i can see.. any idea what is problem? Hey everyone, this is the information page with nice info. But remember, this is not customer service where you expect to receive email revert or call back. For help, please install tapatalk on your smart phone and then connect n create profile on trackdish or dreamdth forum to ask queries n get help. 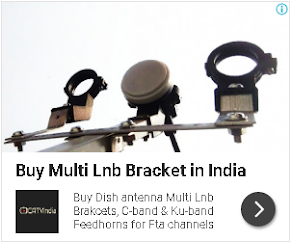 Which kind of universal LNB should I bought to receive signal of GSAT 15? Is it C band or KU band? I added all 80 channel and now i am able to view 80/80 signal strength max 50% min 23%, but no issue picture quilty. I hope below steps will help you. 1.menu> program setup> add new Frequency. Then scan and once done ok OK and exit. Repeat 1 to 8 steps but change the Trans Freq. ( Step 3a,b,c,d) to add all 80 channel. Do not delete channels or change dish direction for new channels. Sir Mane Vijeta Expro Ka Setup box Lisa Hai wo Sai ya Gala. i want to buy this dish from online apply.how can i apply for buy this dish? I have trumax MPEG2 set top box.How can I set program frequency and add channel. sir i am using solid 6303 dvb after tuning all the channels are successfully stored. the quality and strength of signal is 73% and 91% respectively. 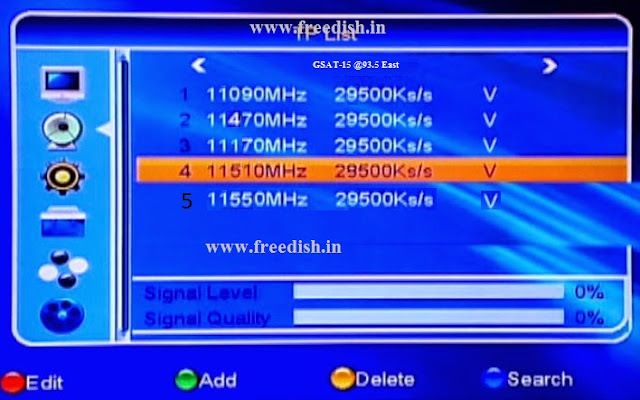 But the problem is that channels like star and zee and other private provider's signal is always vari and not stable. please suggest. I have some queries regarding my old dd freedish settop box, purchased in 2006, and was running soundly till 2010. Now, i would like to use it again. Could i use the same settop box to see all the channels available to dd freedish? If not, then what will be the price of latest set top box and where will be available in kolkata? I didn't get newely added channels like star sports Hindi and many more channels..please help me...I already autoscane many times but didn't get result. Why PTC channel is removed? It should be added.